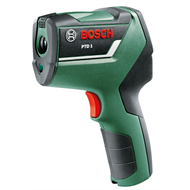 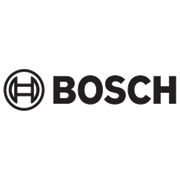 The Bosch PTD 1 Thermal Detector has three functions in one tool, using measurement of surface and room temperature along with humidity to detect thermal bridges and mould conditions. 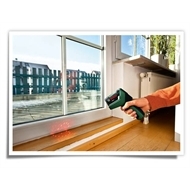 It's easy to use and easy to interpret: LEDs give the user a clear indication about risks of mould and thermal bridges. The PTD 1 indicates possible roots causes and helps users to improve their room climate significantly.